The Chicago Symphony Orchestra presents its acclaimed MusicNOW contemporary music series, dedicated to showcasing contemporary music through an innovative concert experience. Curated by CSO Mead Composer-In-Residence Missy Mazzoli, the annual four-concert series presents work from established contemporary composers and new voices beginning to emerge across today’s active and varied contemporary music scene. 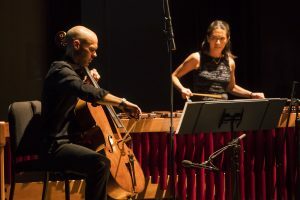 Offering an immersive, sonic journey through groundbreaking repertoire, MusicNOW features expertly curated contemporary music performances with musicians of the CSO at the Harris Theater for Music and Dance. Each evening includes a postconcert reception with free food and drink.